Cadence Travel, the premier travel management resource that creates personalized experiences and exceptional managed travel programs, has been selected as one of the 5 best places to work in the meetings industry by the NorthStar Meetings Group’s Meetings & Conventions Magazine. 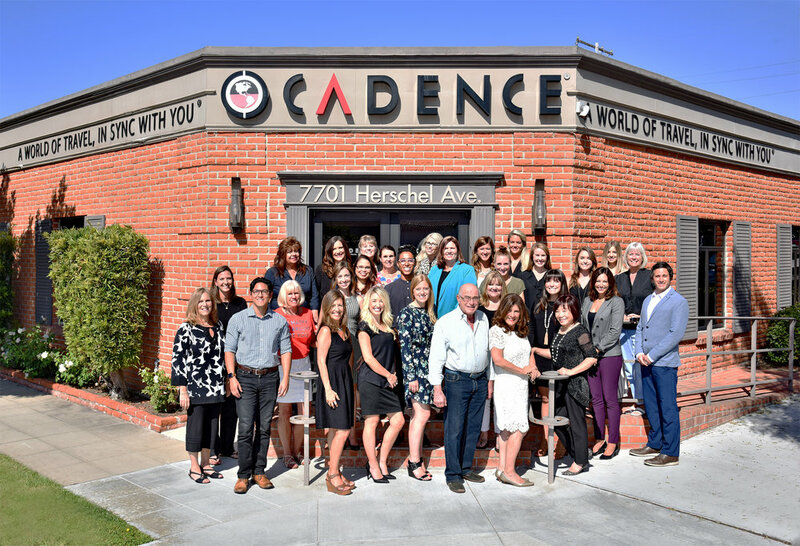 Cadence was selected because the company prioritizes workplace culture and employee happiness through unique appreciation programs, active company outings, and a care first approach to doing business. Cadence is a global travel agency built by Founder and CEO, Wendy Burk with one goal in mind: to take better care of people — clients, employees and partners. The 22-year-old travel management company is headquartered in downtown La Jolla. Its 50 employees have an upbeat, creative take on managing business travel, vacations, events and incentive trips. All employees have an opportunity to make a difference. In the past few years, Cadence has raised over $40,000 for local and global charities. This year, the company has partnered with End Child Prostitution and Trafficking (ECPAT) to fight human trafficking and spread awareness.